Hi everyone! 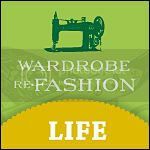 I took the refashion pledge a few months back and while I haven't been posting much I visit the site regularly and am inspired by all the things everyone creates! Right now I would like to see if there are any Refashionistas within the Kitchener/Waterloo Ontario (Canada) region that would be interested in participating in a unique challenge. On April 24th, the Bloomin' Earth Eco fest will be running it's 3rd annual handmade market complete with live entertainment, eco-workshops and for the very first time a recycled fashion show competition! 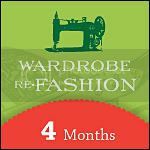 We are so excited about this and with only 6 weeks to go we still have 3 spaces left. Each designer competing in the show will get a bag of random clothing that has been graciously donated by our local Value Village. From that bag of clothing we are challenging you to create up to 3 new outfits to show on stage during the Bloomin' Earth Eco fest. There will be a first, second and third place winner that will be determined by a panel of judges. In order to participate you need to be able to easily get to Kitchener. Visit our blog to get the full run-down on the rules and fill out an application. It's going to be fun and we are sooo excited about this. Please contact me via the Rethreaded Blog if you have any questions! It's really cold. So I've stayed inside sewing a bunch lately. I Have been keeping up on everyone's projects, (so many awesome things!) but I haven't posted again since my introduction.. So it's about time. I might be a little bit crazy, but I decided to open an Etsy shop with some of my designs. 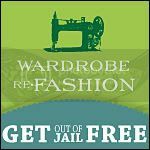 For those who believe in unique style and refashioning, but don't have time or know how to do it themselves. It's small, I know, but I'm excited! There are many of you who know what you're doing when it comes to Etsy, I'm sure- so advice is very welcome! Can I say again, you're all inspiring? So many cool projects! I'm loving the variety! WR by PrutsPrinses 2: I'm such a lazy blogger! I can't believe it! 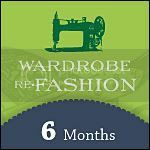 My first six months as a Wardrobe Refashioner are almost over and I haven't refashioned A SINGLE THING. Well, in those six months. I did refashion something before, but I still haven't taken pictures of it! Also I have only written A SINGLE POST! How lazy am I? I'm so sorry, at least I have a good resolution for 2010: do some more blogging and some more refashioning! It won't be for January though, exams are coming up! Also, I didn't do anything that I should use my 3 jailcards for. My mom gave me some underwear for Christmas though, and while in New York, I purchased two dresses at a second hand charity shop and a lot of tights and some shoes in regular shops. My handmade Christmas consisted of making drawstring bags to wrap my presents. I will put up a picture of them later, I promise. Maybe one of the dresses too, I love them! Anyway, apologies again for being so quiet, I have been lurking to see what you lot were up to though. I'm wishing you all a lot of refashionings for 2010! My name is Jennifer Boyd! I'm a freshman at LSU majoring in Textiles/Merchandising. I knit, sew, screen print and design whenever I have any free time, and have been interested in the Green movement as long as I can remember. I love this blog and have been reading it for quite some time now, so I finally took the initiative to finally pledge! I have sent out the last few invites and have closed sign ups until April for a May start. If you haven't already accepted your invite please do so and post an introduction on the blog. Also, you may notice that i have added some categories when you write a post. If you think there is something missing (which i'm sure there is) please leave a comment here.